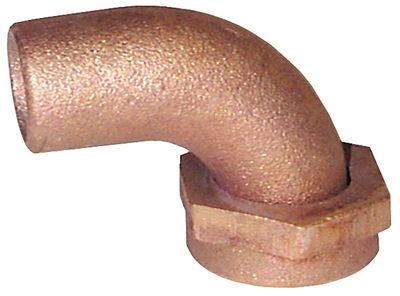 TPC series tail pieces are threaded with NPS (straight) female pipe thread, and are for use with Groco SV series seacocks or with any product with straight male pipe thread. TPS series 90 degree tail piece is comprised of two pieces. The swivel may be rotated in any direction to facilitate hook-up; then the nut is tightened.